Barbara Hodge is the president of Deanan Gourmet Popcorn. She is clearly energetic and excited about what she does and her enthusiasm is contagious. The School Zone Podcast is excited to have her on the show. We are a manufacturer, so we provide the popcorn at a low rate to the schools for a fundraiser. A case of 100 bags costs them $90. If they sell every packet for $2 then they’re profiting $1.10 on every packet, which rolls in a solid 55% profit. The product is so inexpensive to them that it lends itself to a whole bunch of other things, such as concession stands, and PTA meeting goodie bags. This is an extremely low risk fundraiser to try. You’re going to sell popcorn, and you’re going to make a profit! I am told by my sister and other siblings that we are quite technologically advanced for such a small company. We are conservative with our money, growing with little to no debt, selling 5 times the popcorn we did in my father’s time. Every year, we plow most of the profits back in to the business, benefiting our employees and our operations to focus on getting better for the next year. That’s the fun part. For everybody. Our employees are intimately involved in helping us get better. This year, our Converse office employees, and our factory employees, re-arranged their work spaces to allow for better efficiency and better customer service. Our Wylie factory employees, replaced a fence destroyed in the Wylie hail storm, themselves. Their work is very professional and it looks beautiful. They’ve asked if, next year, maybe we could get some covered parking. I don’t know what that costs, but if we have another good year, that’ll be a great facility improvement that would protect them from the hot Texas sun. Employees help us come up with recipes to make our classic flavors the BEST! In the past year, we added health care benefits for our employees. Two years ago, we introduced a retirement plan. These are small things or a given for larger companies, but a first for ours. We cover the premium for our employees 100% on 2 of the plans we offer, and 95% on the 3rd option. We’ve got one employee who plugs in her electric car to charge during the day. As well, we have an autistic employee who is now 19. For a couple of years now, she’s helped us out part time, placing labels on some of our hand-packaged items, building our sample and literature kits, sorting orders in preparation for digitization, and precisely folding invoices to mail to customers. We are constantly finding small jobs that it turns out she’s uniquely qualified to perform. And, oh yeah, we make popcorn! A LOT of popcorn! Still, our equipment is cleaned thoroughly every day. We have equipment in operation that was purchased in the early 1990s. And, it looks good! Shiny and clean, and almost new. We use steam on much of the equipment to sanitize without chemicals. When we decided to grow again about 5 years ago, we were looking for larger equipment. We wound up partnering with an existing supplier of ours to create a new piece of equipment, one that works for mid-size companies. Prior to that, the available equipment was either small or huge. Huge required an infrastructure I was not prepared for. So, together, we came up with a solution that allowed us to scale up. Today, one member of our 3rd generation works in the business. He runs the production and the facility at the Wylie factory. Tref becomes more knowledgeable every year, and has been integral to the design of our building expansion, our new equipment, and streamlined operations for both factories. The absolute coolest thing about a family business is getting to work with family, and, watching your own children become so competent and mature. 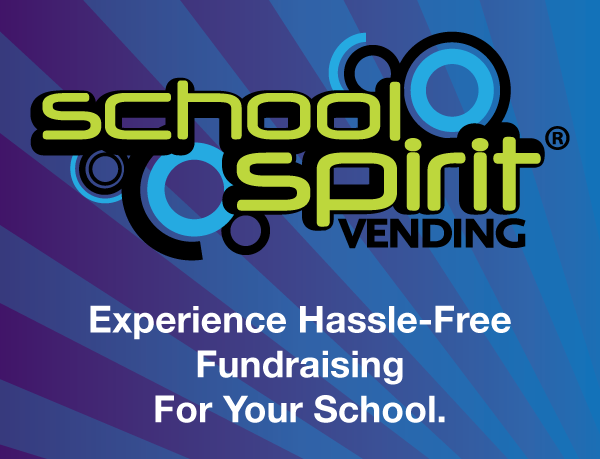 We have 10 fundraising flavors, and 4 more flavors available in our new product launch for retail businesses. Barbara Hodge is the President of Deanan Gourmet Popcorn and the 2nd of Dean and Nanella’s 5 children. She was raised Air Force brat and graduated high school in Naples, Italy at the age of 16. Barbara graduated from North Texas State University with a BBA in Administrative Management at the age 20. She went to work for EDS, and helped shepherd in the dawn of the personal computer. Barbara worked as a software developer and then in various levels of engineering and operations management for the next 25 years. She has two children and has been married 37 years. Barbara is only one of Dean and Nan’s 5 children who never worked in his popcorn business – until 2004, when she began preparing to take it over in 2005. All 5 siblings now share ownership of the business, and one other sibling, Janet, works in it as well.